McKinney Heights Entrance onto Panadero. Welcome to the HOA website for McKinney Heights Community of South East Austin. We're a growing and developing community and this page is designed to assist neighbors both new and old, as well as anyone who is interested in learning more about our neighborhood. 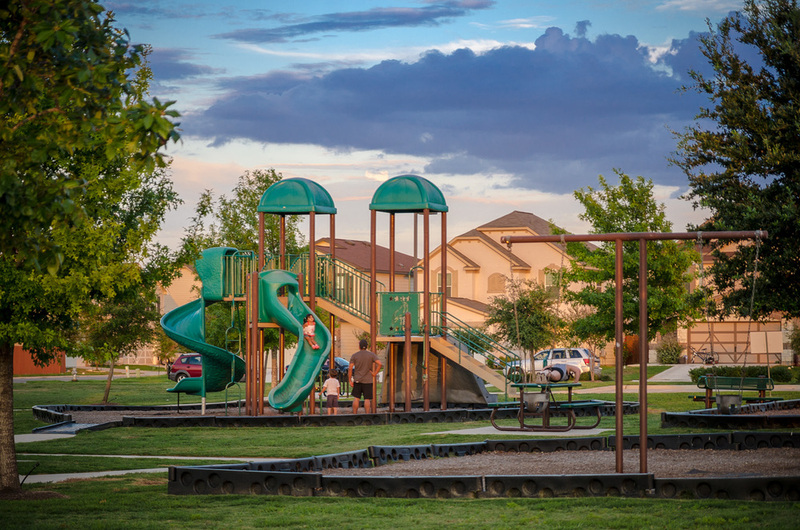 Our little neighborhood is a family friendly community made up of more than one thousand single family homes designed and built by KB Homes. We are in a great location that is conveniently located, just minutes away from places like South Park Meadows for all your retail, grocery, and dining needs. We're also just minutes away from the Austin Bergstrom airport and are centrally positioned between I35 and 183 for major highways/interstates. Development around our community means that schools are growing, stores are being built, and the bus route comes right to our entry-way for the convenience of our neighbors and friends. We enjoy the peace and quiet of being slightly more removed from the hub of the city, but we're still within a short drive to downtown. Many of our neighbors love having such close access to Ladybird Lake, South Congress, and McKinney State Park for access to many fun activities. With the recent addition of the Circuit of the Americas race track and events arena, we now have quick access to races, concerts, track-days, public tours, and more. We truly live in a great position of Austin that is developing rapidly. During Summer our neighbors share a community pool and playground. 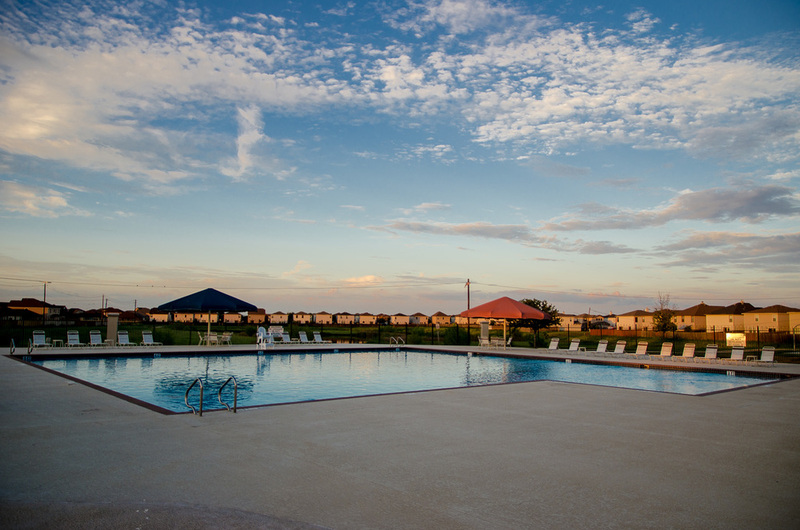 Communal areas include two ponds, a walking trail, a basketball court, and events pavilion that can be used for birthday parties and more. We also have a series of schools nearby ranging in grades K-12 that conveniently provide school bus services right through the main streets of our community. Also, thanks to a very active relationship with the Austin Police Department our community is well supported for events, education, neighborhood watch training, and alike. We appreciate the support of all our neighbors in helping to make this community a friendly, safe, and active place to live and raise our families.